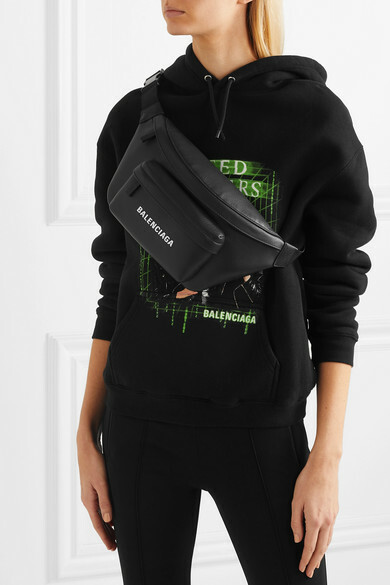 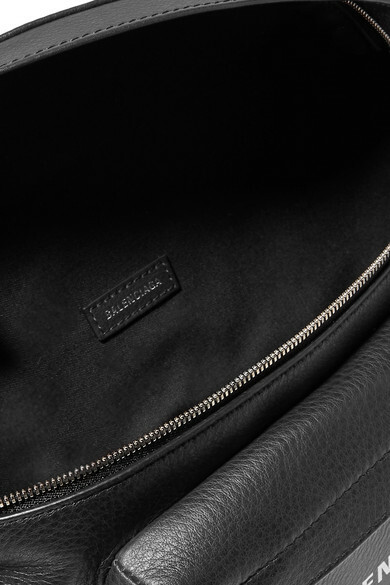 Balenciaga's take on the belt bag trend is fairly oversized, much like Demna Gvasalia's cult hoodies and blazers. 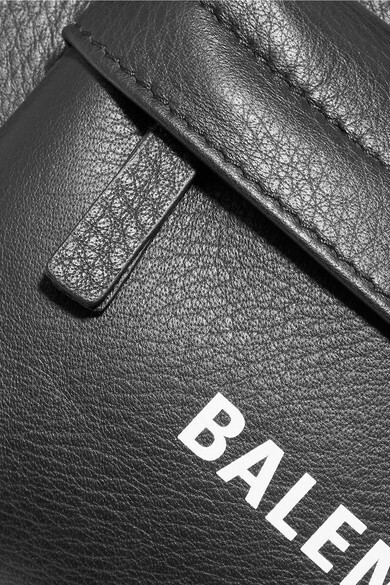 Made in Italy from black leather emblazoned with logo lettering, it has a handy front pocket to keep your cardholder or phone close to hand. 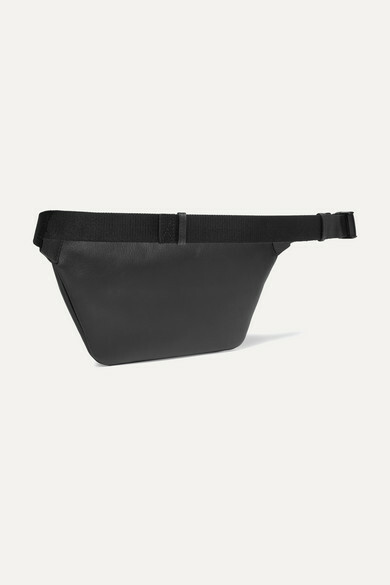 The canvas strap is adjustable, so it can be worn across your front or back. 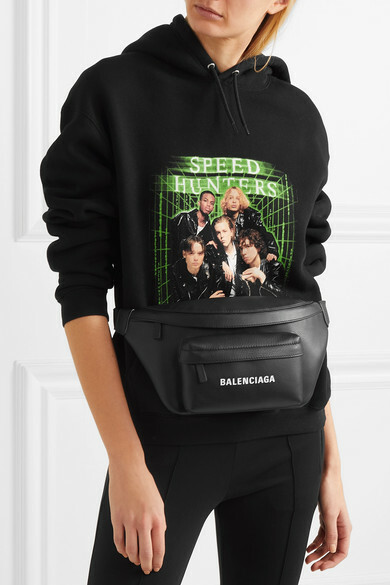 Shown here with: Balenciaga Hoodie, Balenciaga Leggings, Sophie Buhai Ring.